Harrods, an upscale London department store in a wealthy part of Kensington. 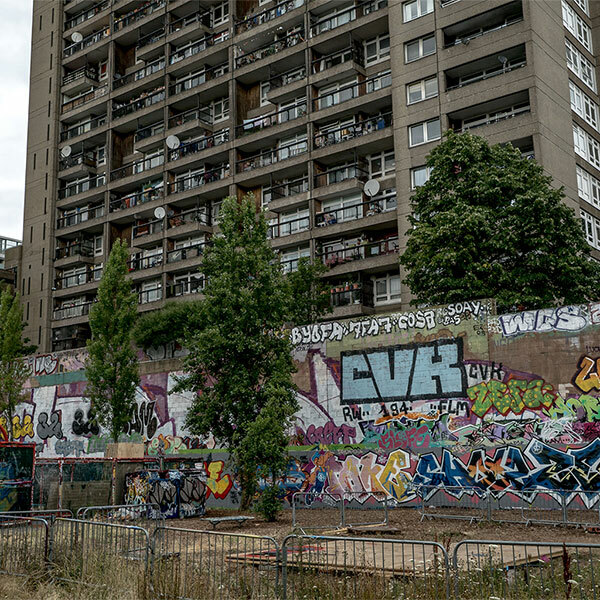 The Kensington borough is also home to some of Britain’s poorest residents. LONDON — The Ferraris were driving people batty in affluent South Kensington. 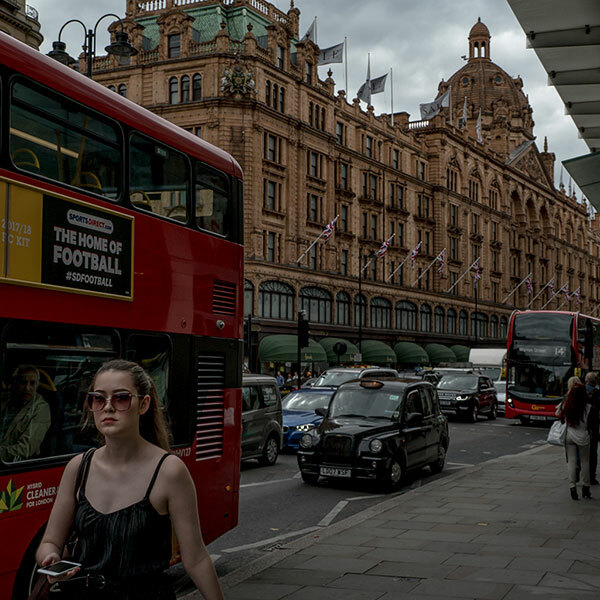 Drivers revved their engines and ripped past Harrods. Residents were already irritated by the dust and noise from superrich neighbors building underground swimming pools and cinemas. Now came complaints about Middle Eastern “types” drag racing at night. Up in North Kensington, a part of London that is home to some of Britain’s poorest residents, the complaints were more elemental. People were fighting plans to close a day care center, lease out a public library and demolish a community college. At one public housing project, Grenfell Tower, residents had complained about fire safety issues for years: power surges that blew up television sets and filled rooms with smoke, outdated fire extinguishers and the absence of a communal fire alarm. 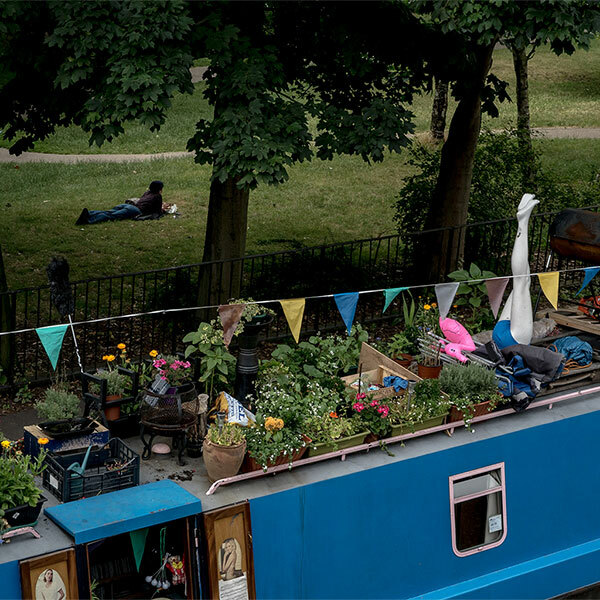 The very different complaints from the opposite ends of Kensington received very different responses from the 50-member council representing the Royal Borough of Kensington and Chelsea. The Ferraris were debated in the council chamber. Fines of up to 1,000 pounds were imposed on revving engines. Underground construction projects were restricted. Seven months later, as a deadly blaze engulfed the building in the early morning hours of June 14, Mr. Daffarn fled his apartment on the 16th floor. Stumbling through the smoke-filled landing, he was found by a fireman and guided to safety. But at least 80 of his neighbors died. The Grenfell Tower in North Kensington burned on June 14. At least 80 people died. “This council does not represent the people of North Kensington,” Mr. Daffarn said. 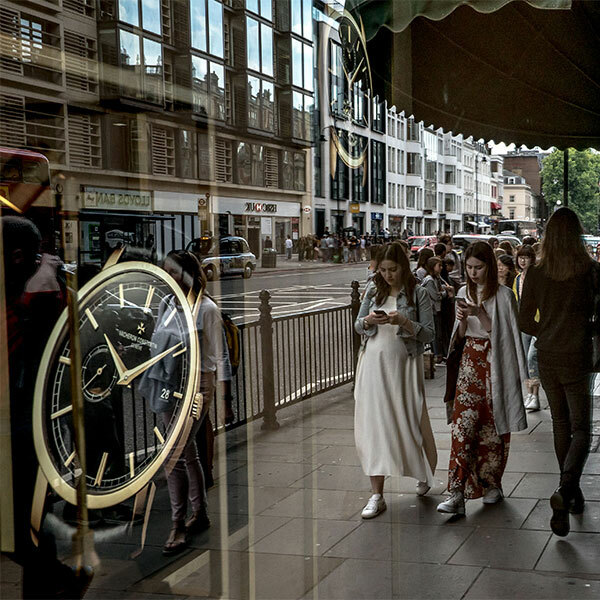 Last year’s referendum on whether Britain should leave the European Union, known as Brexit, exposed the deep resentment of working-class Britons outside London toward the elites in the wealthy, cosmopolitan capital. But the charred remains of Grenfell Tower have become a shocking symbol of inequality at the heart of the capital itself. They have changed the national narrative. If the Brexit vote was driven by a populist message that immigrants and Europe’s open borders were to blame for the nation’s malaise, the fire has brought back into focus how years of steep government cuts have disproportionately hit the poorest, amplifying the pain from stagnant wages after the financial crisis. Kensington and Chelsea is a microcosm of a divided Britain. The south is home to Kensington Palace Gardens, better known as Billionaires’ Row, one of the most expensive streets in the country. Roman Abramovich, the Russian billionaire, owns a mansion there reportedly worth £125 million ($163 million). And Kensington Palace is where Prince William and the Duchess of Cambridge will be raising their children. To the north, Golborne ranks as one of the two poorest wards in London. Victorian-era diseases like tuberculosis and rickets have made a comeback. Life expectancy in parts of North Kensington is 20 years lower than in South Kensington. In recent years, the council has spent millions of pounds subsidizing opera tickets and paying tax rebates to all except the poorest at a time when services for youths and toddlers were reduced, and free swimming classes for state-funded schools and older residents were canceled. 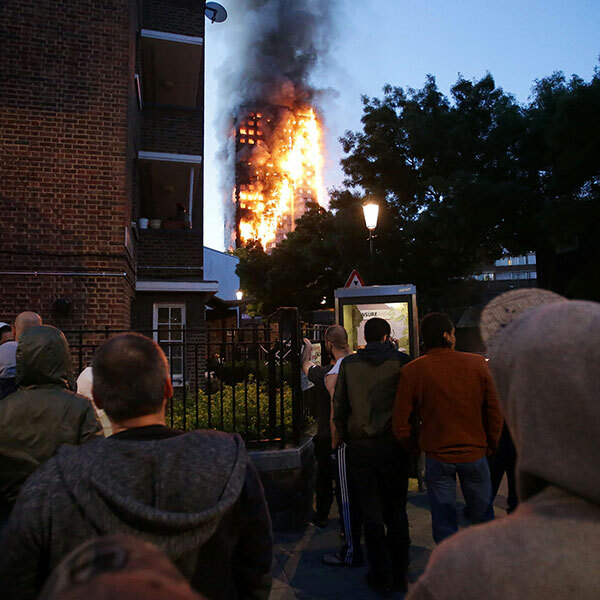 The contempt directed at those raising concerns about fire safety at Grenfell Tower was not an exception, residents said, but the fire exposed the disconnect between an elitist council and poor residents in the north. “They don’t know how the other side lives,” said Monica Press, a Labour councilor from North Kensington. The council leader, Elizabeth Campbell, admitted last month that in her 11 years as a council member she had never set foot inside a high-rise housing project. Ms. Campbell, who took over as leader after the Grenfell fire, has vowed to rebuild trust. But local residents said the social contract between those who govern and those they purport to represent is broken. Police officers investigating the fire have told survivors that there were “reasonable grounds to suspect” that the council and the organization managing its social housing might have committed corporate manslaughter. On Tuesday, the head of the inquiry into the fire said it would examine the conduct of the local authorities but would not take into account the broader issues involving social housing, although Prime Minister Theresa May said she was “determined” to address those questions. 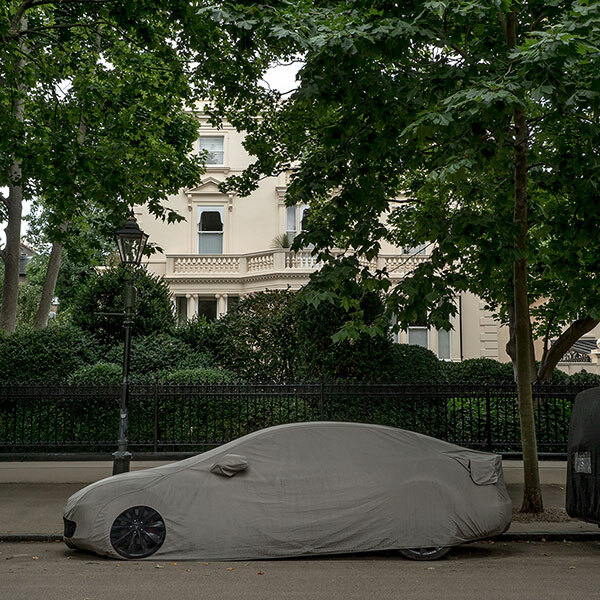 Cars parked outside a mansion on Kensington Palace Gardens, among the most expensive streets in London. Today, the face of London is the Muslim son of a bus driver. Sadiq Khan, the city’s directly elected mayor, in many ways represents how the city sees itself: multicultural, liberal and socially mobile. But much local governing authority is devolved to the councils that run London’s 32 boroughs, which can look very different from that. Of the Kensington council’s 50 members, 46 are white and 37 are Conservatives. The cabinet, led by Ms. Campbell, is entirely white. One of her fellow councilors is Lady Catherine Faulks. Another is Mr. Feilding-Mellen, the stepson of the Earl of Wemyss and March. Another is Prof. Sir Anthony Coates, known locally as a man of letters — the letters being those he lists after his name to highlight his credentials. Timothy Coleridge, one of several councilors who attended Eton, Britain’s most exclusive private school, has served on the council since 1986, as did his father before him. Two years ago, he received an email from a distressed resident. Sports cars were speeding in his Knightsbridge neighborhood, one of the most expensive in London, the resident complained. Limousines hogged parking spaces outside his home. “The super car situation was ghastly during the last few summers, keeping us all awake in North Terrace,” the resident wrote on June 2, 2015, demanding urgent action. Mr. Coleridge sympathized. “We totally agree with you, and our experiences as local residents matches yours,” he replied, 14 hours after receiving the complaint. Lawyers were put to work. The police were consulted. Five months later, a Public Space Restriction Order imposing steep fines had been passed. Councilors representing the north of the borough acknowledged that in the lives of the rich, this was a legitimate concern. “But the alacrity with which they took it up was remarkable,” said Robert Atkinson, a Labour councilor. Grenfell Tower residents were treated differently. The council kept deducting rent from a Grenfell survivor even after the fire, a mistake Lady Faulks called a “tiny” thing before backtracking. The council’s former leader, Nicholas Paget-Brown, defended the body’s decision not to install sprinklers, suggesting residents did not want them. And his deputy, Mr. Feilding-Mellen, a property developer, had insisted on keeping down the cost of the external cladding used in a £10 million renovation in 2014, according to a leaked email, resulting in the choice of what turned out to be highly flammable materials. Mr. Feilding-Mellen declined to be interviewed. With the national government pursuing policies of economic austerity, grants for local councils have been slashed by more than half since 2010. Yet the Kensington council routinely underspent its budget. It currently has £274 million in usable reserves — money that critics said should have been invested in the north. And a £100 tax rebate, for those who paid council tax in full before the 2014 local elections, was met with broad approval. Yet South Kensington has hardly been neglected. A recent enhancement of Exhibition Road outside the Victoria and Albert Museum featuring an inset granite diamond pattern cost nearly £30 million, with the council picking up roughly half the cost. Shoppers in affluent South Kensington last month. Mr. Coleridge, until recently in charge of the arts, oversaw a £5 million grant to Holland Park Opera to make opera tickets more accessible. “The seats are very good value,” he said, “only £60 to £65” ($78 to $84). In the 1980s, Margaret Thatcher, as prime minister, introduced “Right to Buy” — allowing established tenants in social housing to buy their homes at a discount. But soaring house prices have put Right to Buy out of reach for most. “If a flat costs £500,000, a £100,000 discount doesn’t make it affordable,” said Tony Auguste, a local campaigner who is disabled and relies on social housing. “It’s an insult, really.” A £500,000 apartment is equivalent to $650,000. A view of Golborne Road in North Kensington. The Golborne ward ranks as one of the two poorest in London. North Kensington Library, a stately Victorian building near Portobello market, is the rare place where children from the housing projects mix with those from Notting Hill Preparatory School and Chepstow House School, two private schools that cost more than £6,000 ($7,800) a term. But now the public library might have to move out so that one of the prep schools can move in. Mr. Feilding-Mellen negotiated a deal to lease the building to Notting Hill Preparatory School, which is getting a year rent-free so it can refurbish the building. The council says this arrangement is not unusual. Local critics say it is practically paying for the refurbishment. Mr. Feilding-Mellen’s twins are on the waiting list for the school. Meanwhile, the council is spending over £18 million of public money on a new building in which the public section of the library will be limited to the ground floor, while students from Chepstow House will get their own access and separate floor. Mr. Feilding-Mellen’s children are on the Chepstow House waiting list, too. At a council meeting on Oct. 19, 2016, he insisted that he did not have a conflict of interest, although he conceded that it might be “perceived” as such. “This council seems more interested in handing over public premises to prep schools than it is to provide homes for hard-pressed local families,” said Mr. Atkinson. The library is just one flash point. 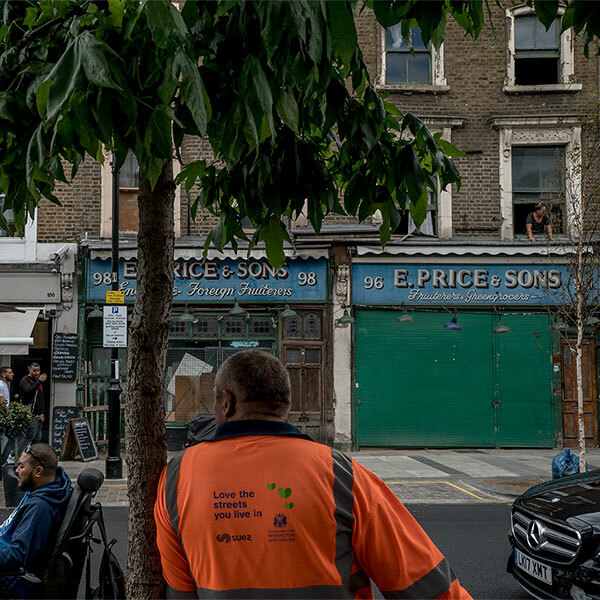 Many North Kensington residents speak of “managed decline,” a strategy to allow public institutions and spaces to fall into disrepair and then create a case for redeveloping them with a commercial motive. Social cleansing, they call it. Trellick Tower, a residential building in North Kensington. Two years ago, the Maxilla day care center near Grenfell Tower was closed. More recently, plans to demolish and relocate Kensington and Chelsea College, a vocational school, and build an apartment block that will include commercial housing were announced. “This place is my success story,” Drei Mullings, a young black man, said of the college at a recent public meeting. His course enabled him to go to the University of Northampton, he said. “We are market-led,” a college representative told the crowd. “You should be community-led,” a woman shouted back. Conservative councilors argue that they have done their best to protect public services and have invested over £70 million in North Kensington infrastructure in recent years, including the ill-fated renovation of Grenfell Tower. They refute any suggestion of social cleansing. The council is creating more social housing — just not much of it inside the borough. Certain new housing developments are supposed to include a quota of social housing — but private developers often dodge the requirement by paying the council a fee instead. The council struck deals to receive £33.4 million in such fees in the year through September 2016. While the council has built only 336 new affordable housing units in the borough since 2011, instead of the 200 a year it had originally pledged, it has bought units in cheaper parts of London as alternatives. In the south of the borough, by contrast, thousands of apartments are routinely empty, the second, third and fourth homes of members of the global elite. Until four years ago, second-home owners even got a discount on council tax. Scores of Grenfell survivors have yet to be rehoused. Two weeks after the fire, the City of London Corporation bought 68 apartments in a new luxury block for that purpose. Some existing inhabitants, who enjoy a 24-hour concierge service, a swimming pool and a private cinema, were not happy. The Meanwhile Gardens in North Kensington. One night in May 2013, the light in Mr. Daffarn’s Grenfell Tower living room started flickering wildly. Soon his stereo stopped working and his television box blew up. Some of his neighbors reported sparks flying from their light fittings and smoke coming from their toasters. The complaints were mostly ignored until three weeks later, when entire rooms were filling with smoke. Residents marched to the tenant management office, and the electrical wiring was eventually repaired. Mr. Daffarn, a social worker who has lived in Grenfell Tower since 2001, has meticulously documented the grievances of residents in seven years of email correspondence with the council. Some 350 blog items he wrote with a fellow resident are being archived by the British Library. “I wanted to create a resource for anyone, who in 30 years’ time wants to study how London ended up like this, with only rich people left,” he said. But the Grenfell Tower fire has changed his motivation. “Now, it’s evidence,” Mr. Daffarn said, alluding to the criminal inquiry. He hopes the investigation will bring convictions and also document “the institutionalized contempt” for poor people. 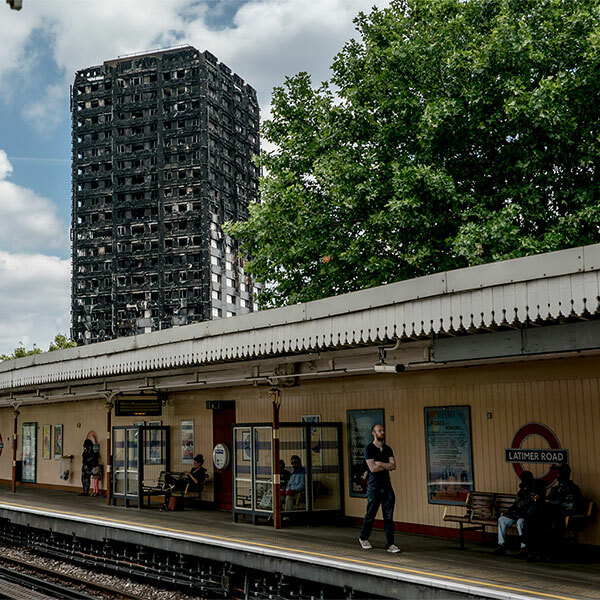 A view of the charred Grenfell Tower from a subway platform last month. Some things have already changed. Since the fire, Ms. Campbell, the council leader, has promised to use the council’s reserves to build more social housing. And she has put on hold all redevelopment projects, including North Kensington Library and Kensington and Chelsea College pending a review. But distrust remains. – Why do we have to wait for the New York Times to give the fullest account of what happened in Kensington? This is the best account I have read. The full story.